Find the answers to your questions and other interesting information by exploring our collection of links. View this website for accurate feline health information including cat care tips, disease prevention, and treatment options. 24-hour emergency and critical care for your pet, located on Warren Avenue in Portland. Providing specialty and 24-hour emergency care, on Technology Way in Scarborough. Call 1-888-426-4435 or visit the link below for information in any poison-related emergency. Caring for animals in need since 1911. Located in Kennebunk, AWS has been helping pets in need since 1967. 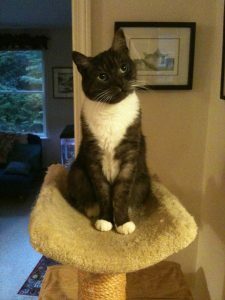 HART is an all-volunteer organization located in Cumberland, ME devoted to the rescue and care of homeless cats. American Association of Feline Practitioners Provides a national list of feline practitioners. Advice about preparing for a disaster with your pets. This web site has owner information in video format about diabetes, chronic renal failure and how to give oral medication. In addition, this web site has written text on 41 additional feline related health topics, including everything from anesthesia to urinary issues.